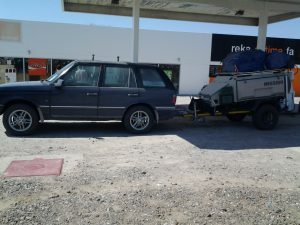 Range Rover P38 with a loaded trailer and working air suspension. 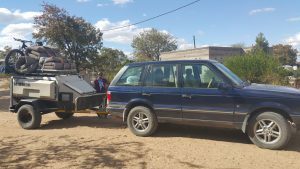 Range Rover P38 with a loaded trailer and coil springs. 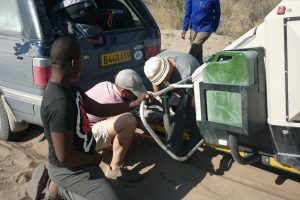 Dragging a jockey wheel through the middle mannetjie is never a good thing. 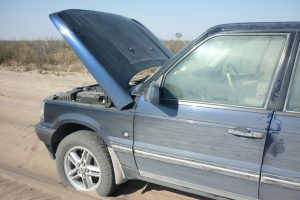 Range Rover P38 boiling over after sand abuse. 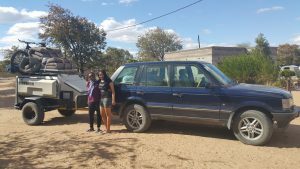 Range Rover P38 glamping trip.